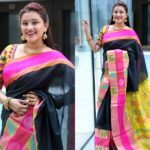 Earlier there used to be fashion of wearing heavy sarees especially on occasions like party and wedding, but this scenario has completely changed today. These days women love to dress in a classy style, and even a plain saree can do that. 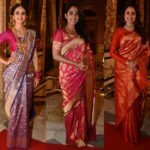 Yes, these days most of the women, even the top Bollywood celebs, prefer wearing plain sarees or border saree to events like party and wedding. 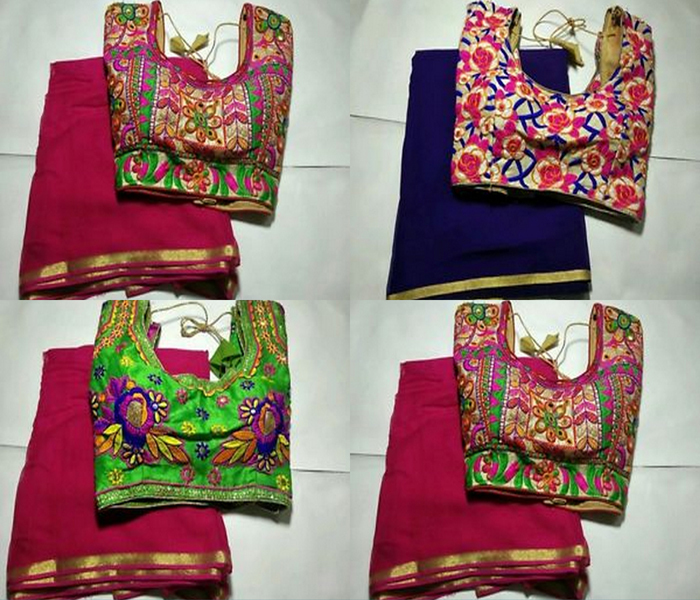 But, if the sarees are simple then the magic is set up with the stylish designer blouses, and one such must try style is the kutch work blouse! This is an ancient form of Indian craft, which is practiced largely in Gujarat. You can easily identify kutch embroidery with its multicolour thread work, that is combined with attractive mirrors and beads. Usually bright color threads like red, pink, yellow, blue, green etc, are used to create kutch embroidery. Designs like Mughal art, peacocks, animals are created using the thread work. 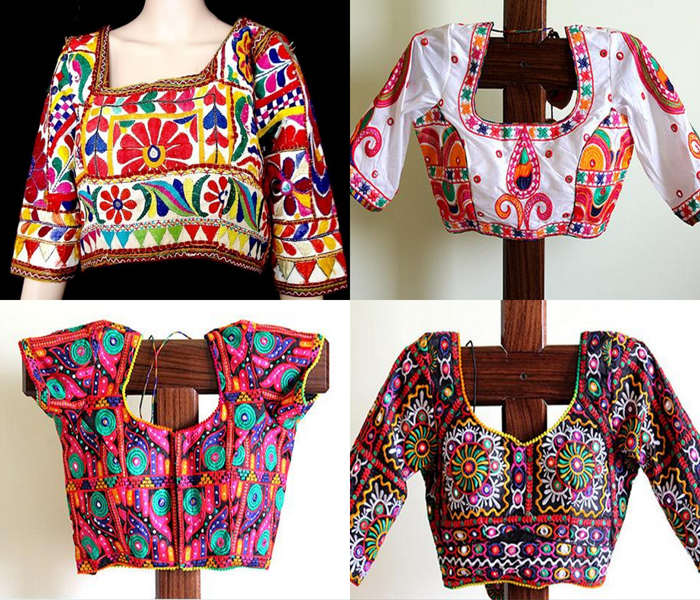 You can find kutch embroidery blouses mostly in fabrics like cotton and silk. This is the most popular way of wearing this sassy colorful blouse. Because, it dramatically changes the way of your plain saree apperance. There are multiple ways by which you can mix and match the plain sarees with this vibrant blouse. It goes without saying that, due to the dense work on this blouse, it will make your simple sarees stand out. 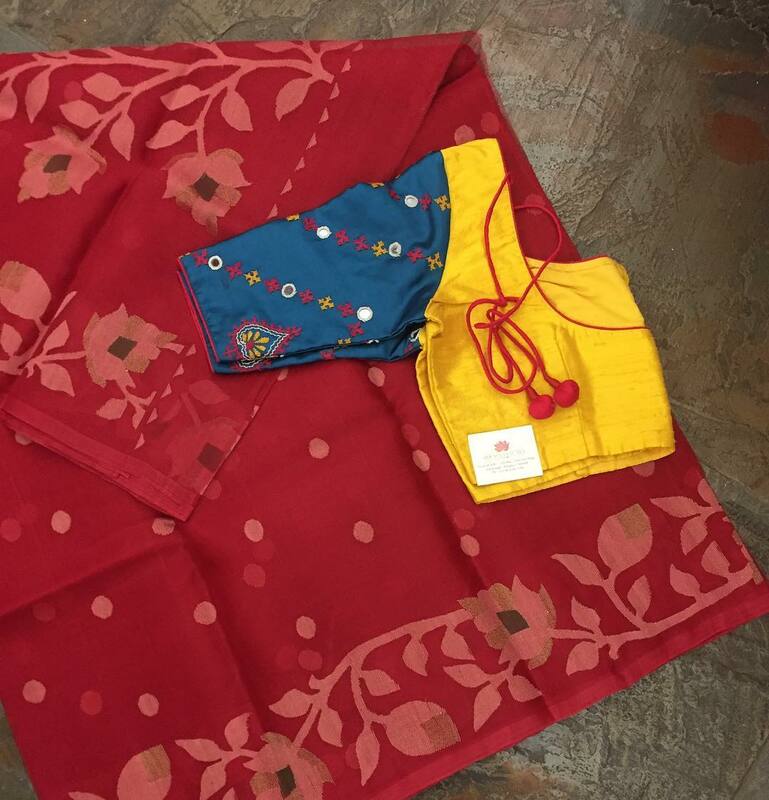 Either you can pair it up with a matching kutch blouse with a same hue thread work, or you can go for a completely different hue and make the contrasting colors do the magic. 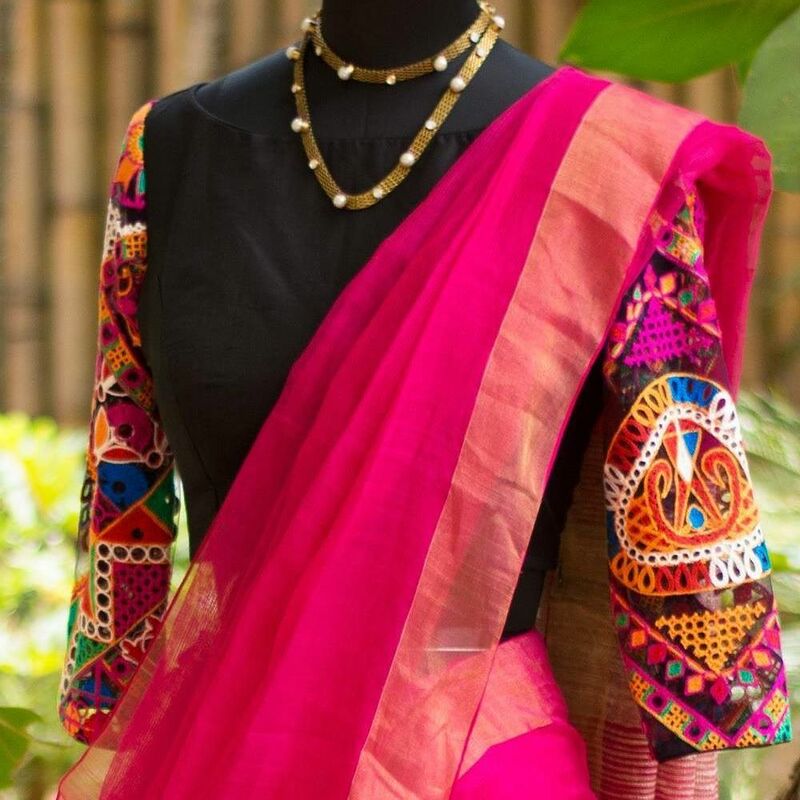 The colorful threads of the Kutch work blouse can add a pinch of brightness to your plain looking saree and make it perfect to wear on festive days, or even for weddings also. So the options with this combination are many! 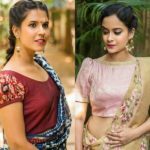 Now it is time to get inspiration on how you can actually get the best kutch work blouse with flattering designs, and also some celebrity looks on how it actually looks on a real person. Ready? Cotton is a fabric which generally gives a simple, yet appealing look, when worn by anyone. If you want to add colorful angle to your khadi or pure cotton drapes, then you can seek a good kutch work blouse for it. Even a simple white plain cotton saree can be made to look a show stopper by an chic heavy work kutch blouse. 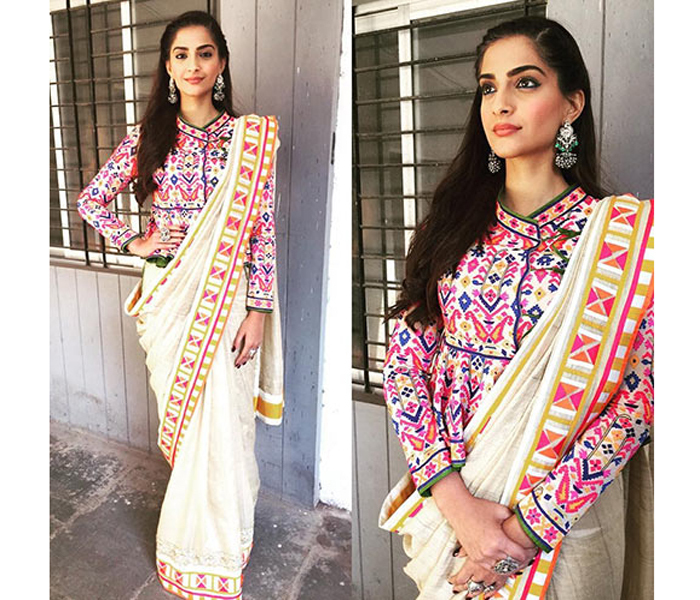 Below is Sonam Kapoor, who made this style work for her. When you try this combination, keep your rest of styling simple, as the blouse itself is too heavy. So, balancing this look is tricky. For a change, pair it with statement silver jewellery and see the perfect finish. Another way to wear this enviable blouse is to avoid heavy contrasting colors, and go with the same hue of saree. But the magic here is to opt for a one milder shade to blend everything together. Check below, how Mini Mathur flaunts this style with an ease. A simple plain black saree with the right hued kutch blouse gives this women a designer saree look. 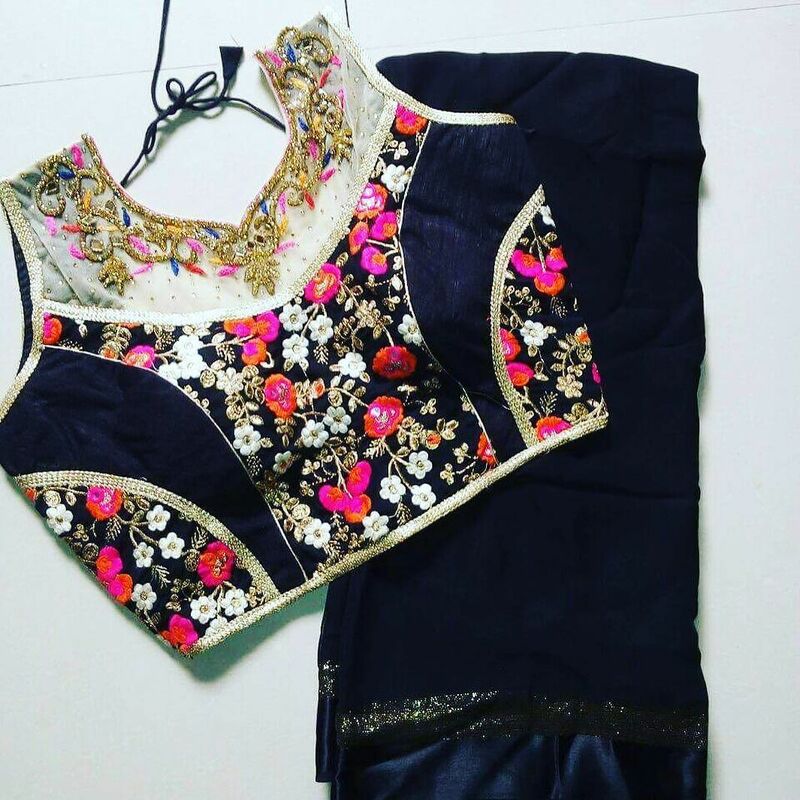 That’s why we mentioned earlier that,with this combination, you can very easily wear your plain sarees to parties and other grand events. If you don’t mind some bright look, then this is for you. 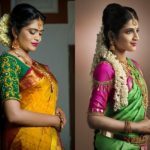 Just like how these simple blouses convert your monochromatic sarees, they can equally do wonders to your multicolor weaves. Pick any dual or multi shade saree in any fabric, and pair it with this blouse to catch an altogether fun vibrant look of yours. Here is the proof for this bright look. Here, Shilpa Shetty has tried this eye-catching style and looks even more gorgeous. A simple brooch over the shoulder defines her blouse further. Agree? 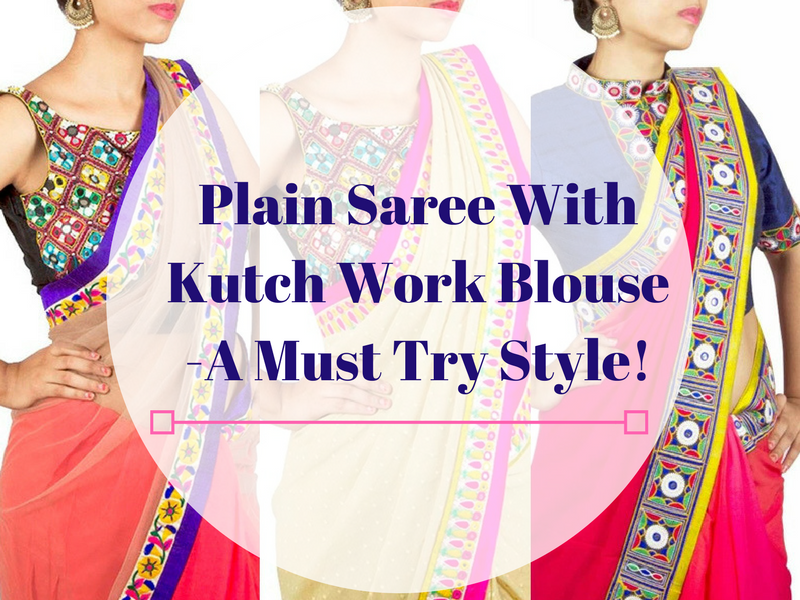 We have seen the colorful ways to style your plain sarees with kutch work blouse. Now, we want to tell you the most popular kutch work blouse designs that can go well with plain sarees. 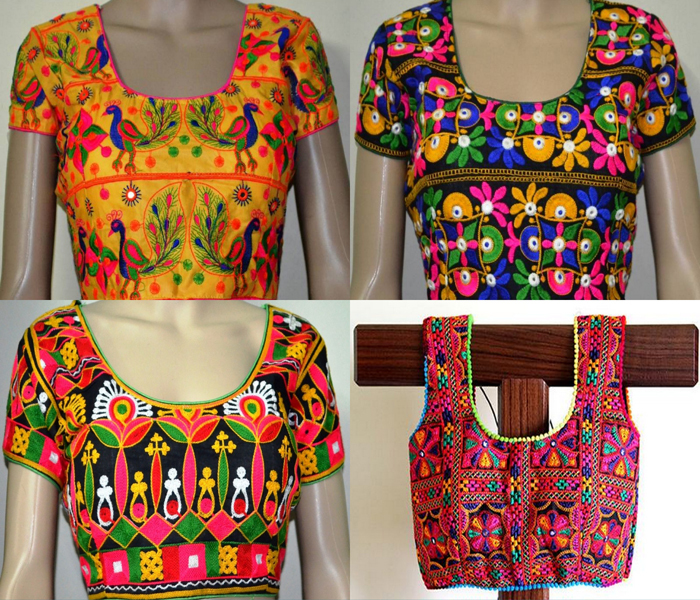 These are more popular among the kutch work blouses. Glittery mirrors amidst the glistening colorful threads are a mesmerizing combination. When you pair this style of blouse with plain georgette or chiffon sarees, it will be more pleasing. Young girls, make use of this blouse to bring out the real beauty in you! This is the most basic form of blouse from this pattern. If you don’t want glittery look to your blouse, then skip the mirrors, and go for simple thread work. Again, you can opt either simple thread work or a heavy work depending upon the type of saree you pair with. Also, if you want a formal look to your saree, then it is better to stick with simple thread work. If you want to pair your blouse with designer plain saree or silk sarees, then it is better to go for full work. Too much of crowded thread work can also be boring sometimes. Especially, if you want to own more than one blouse for your collection. 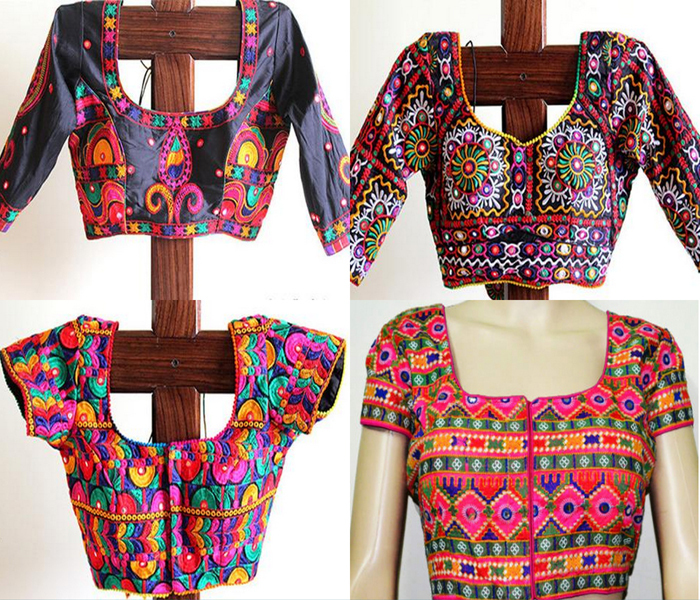 To differentiate, you can opt for attractive designs and patterns which is unique to each blouse. This way you won’t get the monotonous feel. When you get your blouse etched with a memorable bold motif in kutch work, it is sure to stay unique and creative for a long time. Kutch work blouses are simply fabulous to try with plain sarees. Keep our tips in mind before selecting the one that suits your sarees. There are plenty of online stores that sell these blouses. So, you don’t have to find exclusive shops that tailor them. 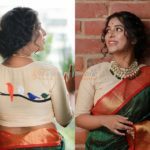 Rather than shifting too much towards the western patterns why don’t you try out this amazing traditional Indian craft for your blouse design and set the magic on. They are very authentic in style and very indian-ish in look. Let us know in the comments below on what you think of these blouses! This is Why Floral Blouses Are So Perfect for Any Saree!